The Washington Post is repeating its Beer Madness brackets from last year. Dave Alexander has conducted several infamous Lupulin Slams — East Coast vs. West Coast IPAs with the brewers present — at R.F.D., his Washington, D.C. beer restaurant. And now, there's another March Beer Madness. 32 IPAs from across the nation will go head to head in an elimination battle in the National IPA Championship or NIPAC. The first round, and the first set of brackets, is set for February 23rd in Grand Rapids, Michigan. Beer drinkers can also participate. All contestants that correctly predict the winners of every round and the final champion will be included in a NIPAC Contest Winners Drawing. 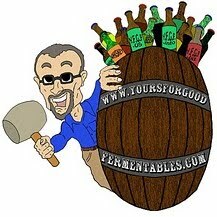 Prizes include a full case of beer from the 2008 National IPA Champion, tee-shirts, posters and brewery merchandise. Who does the judging? 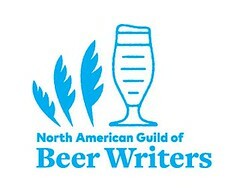 Bill Metzger of the Brewing News papers, who is organizing the competition, has told me that the judges are commercial brewers present at each of the beer festivals where the tastings occur.